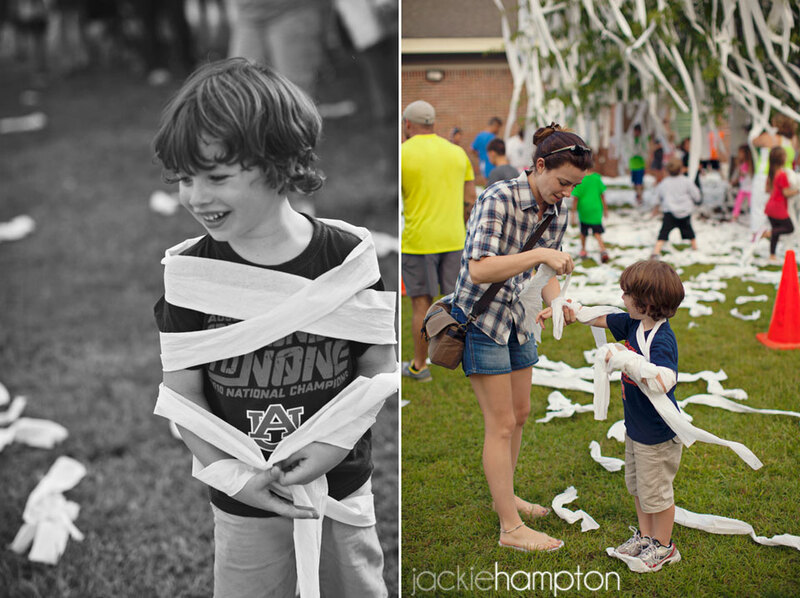 Did you know you don’t have to be in Auburn after a game to participate in a tree rolling? 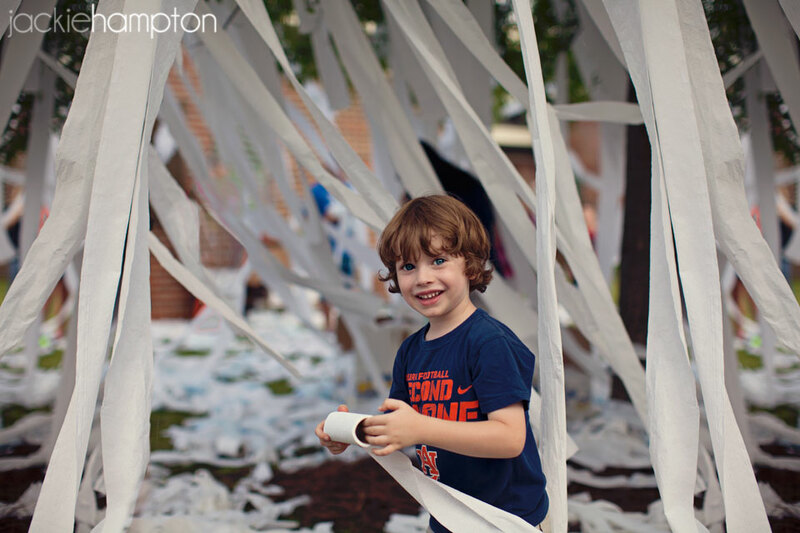 The tradition seems to be traveling beyond the city, even to our little town. 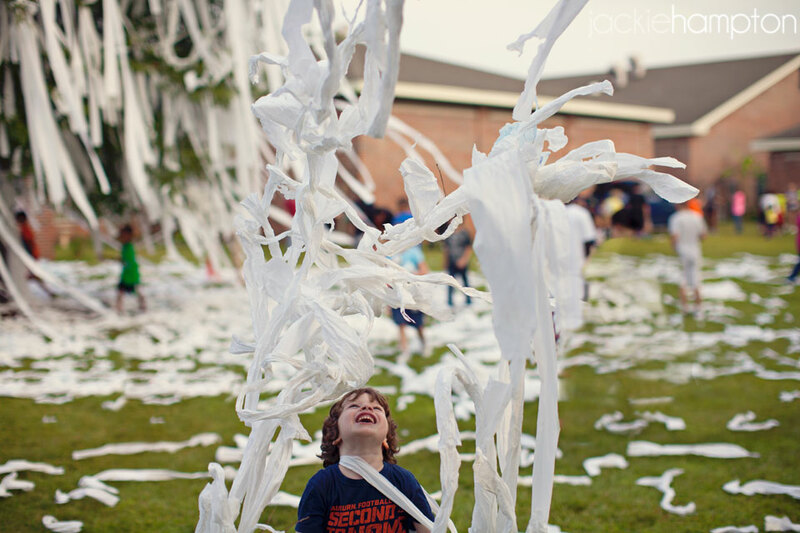 The kids had a blast covering a big tree in front of the elementary school with toilet paper. And guess what? 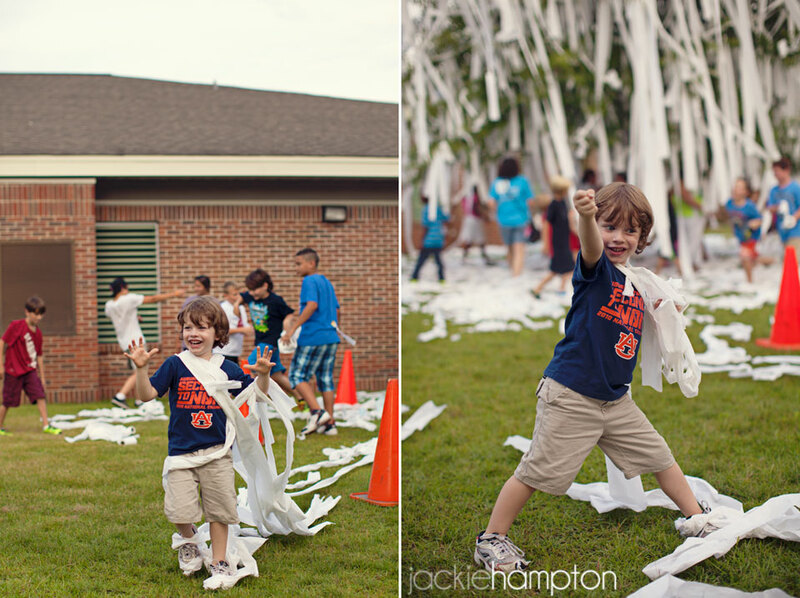 There were even some Alabama fans participating. Team preferences are set aside when you share a common goal: carry kids home as exhausted as possible.